We would love to hear about your experience with South Downs Osteopathy! If you would like to add your own testimonial, please scroll down to the bottom of this page. "Suffering from severe pain and stiffness in my shoulder and back I arranged to see Ross, as I had previously been very impressed with results from his first session with my partner, a year earlier, who was barely walking due to severe lower back ache; this one session was transformative improving still further over another three sessions; she has been pain free since. My shoulder and back improved markedly over only two sessions and has continued to improve. Additionally Ross is an excellent communicator and totally professional in approach." "I saw Ross over 2 appointments and the difference he made to my back and general muscle fatigue was fabulous. Ross is very professional and very informative as to what he is doing as he explains his findings. He even recommended some stretches to help me at home. I felt very comfortable with him and wouldn’t hesitate in recommending him." "Ross kindly has gone out of his way to help me with my aches and pains while in training to cycle across Peru for charity. Not only is he expert at treating patients with a range of problems, but he's also highly knowledgable at treating sports injuries like mine. I'm truly impressed with how he's taken the time outside of my allotted appointment to research information about my bicycle set up and to look deeply into preventing me from further injury. Ultimately you can trust Ross to help you find a long term cure, be friendly and professional and get you back on the road (or bike) again in no time!" "After several years of physio treatment for a range of aches and pains I was glad to find Ross. His approach is very refreshing and combines professionalism and thoroughness with human warmth and gentleness. I believe that with his support I will be able to make progress on my path to wellbeing." 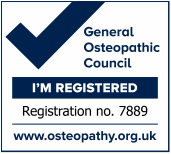 "Having suffered from fairly acute achilles tendonitis for a number of years - brought about by my pretty intense exercise and running programme - I decided to get some treatment from the BSO in South London, believing in the fresh, up to date knowledge that osteopathy students are learning all the time and wanting to benefit from that myself. I was recommended by a receptionist there to try out Ross as he was thorough, knowledgable, [and] positive in his hands-on approach... We immediately clicked as he adapted to my somewhat cynical and ascerbic approach to this frustrating injury that I'd basically had on and off for 30 years; and with a shared sense of humour, we decided on a course of treatment and action that wasn't going to involve resting for 6 months or abandoning my fitness regime! (Such as had been suggested by other medical people whose advice I had sought). The tendons seemed to respond to treatment, and soon I was running and circuit training again for longer periods, without those searing stabs of pain. When he graduated in the summer, I was determined to stay with Ross for future maintenance checks and treatment, as we had struck up that important rapport, and he had kept meticulous notes on my case history for almost a year and would be able to monitor my own progress thoroughly. He is a genial, friendly and professional practiser of osteopathy as he starts out in his new career, and I wouldn't even think of trying out someone else." Tell others about your experience with South Downs Osteopathy by completing the form below. We will only display your first name or initials and location.